Releasing today from Anchor Bar on Blu-Ray and DVD is this wonderfully taut, coming of age thriller starring Kevin Bacon, James Freedson-Jackson and Hays Wellford. Two young boys, Travis (Freedson-Jackson) and Harrison (Wellford), are off on an adventure, they’re running away from home, experimenting with swear words, and daring one another as they walk across the Colorado countryside. Things take a turn for the interesting when they come across a seemingly abandoned cop car. 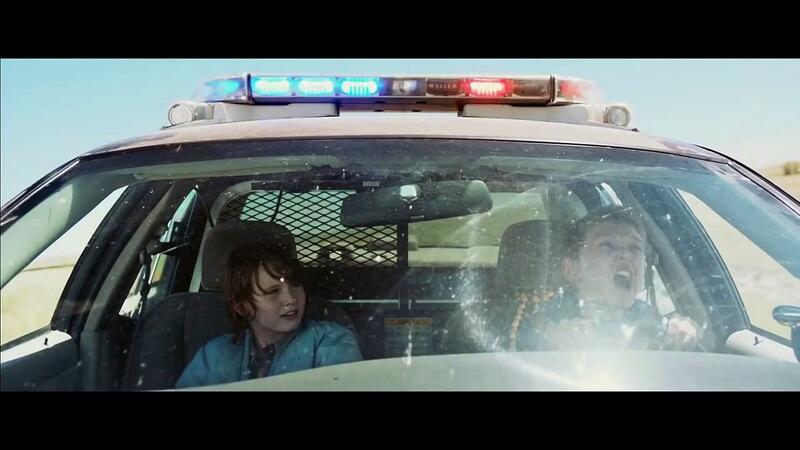 After some initial dares, they claim the vehicle as their own, and take the vehicle on a joy ride, unaware that the car’s owner, Sheriff Kretzer (Bacon), is nearby, taking care of some grisly loose ends. As they race around the country side, and eventually onto the road themselves, the boys quickly find themselves in a big mess that they don’t understand, as they go through the car, exploring its contents, and making some unnerving discoveries. Kretzer, discovering his car is missing starts hunting the boys down, looking to reclaim it before things can spin too far out of control, and so begins a cat and mouse hunt across the county. Bacon exudes a level of menace and threat of violence that permeates the entire film, casting a dark shadow over everything, which is only amplified by the things the boys discover, and some of the things they do. The final act of the film is incredibly tense, frightening and bold. Coupling that with some truly unnerving sequences involving children and guns, this film makes for a dark ride, with the innocence of the children slowly being overwhelmed by the darkness of the adults around them. Watt’s elicits some reliable performances from his young stars, and a number of the moments they have seem completely unrehearsed and natural; I recognized my own childhood in some of the things they said and did before their entire adventure goes sideways. There’s a nice relationship between the two, one that seemed familiar to many I’d seen growing up, and they boys brought their roles to life believably, and never once ejected me from the created reality of the story. Bacon is, of course, the heart of darkness of the film, and as he hunts down the boys, he avoids encounters with fellow officers, separates the boys from any other contact, and tries to use his perceived perception that the police are the good guys, to try to catch them, before they learn too much, and may end up being necessary victims. On the technical side of it, there were a couple of things I truly loved, the editing was top-notch, adding to the build-up and suspense throughout, and the locations were amazing, showing up sharp and clear on my Blu-Ray. It looks great, and if you let yourself into the world of the film, you’re going to enjoy it. 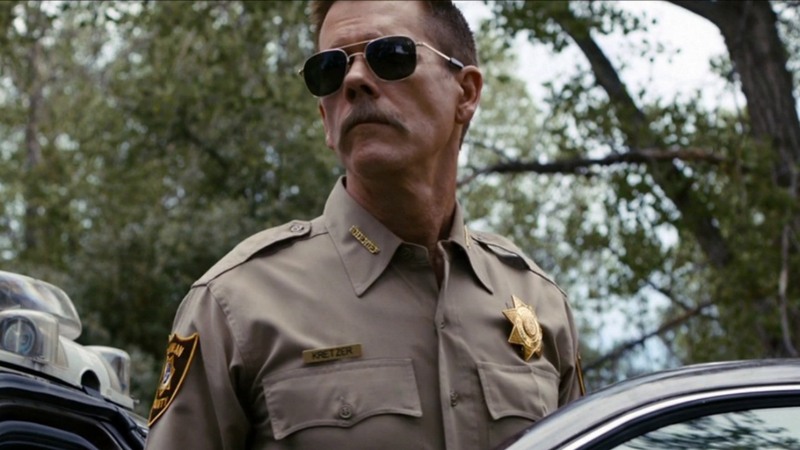 Cop-Car has midnight classic written all over it, and is a title to actively seek out. It follows the youthful innocence of the children, as it is stripped away as they move deeper into a dark, adult world they don’t understand. Cop Car is available from Anchor Bay today!